Posted in Tales From The Road and tagged california, fog, oak, panorama, sunrise on October 11, 2017 by Aaron Feinberg. Heading out on a Koke’e adventure our goal for the day was the Kilohana Overlook. As is too many times, when we arrived it was completely socked in. We enjoyed the hike and shot some detail work along the way. Arriving back at the car it was decided to head to the Kalalau Overlook for sunset since it’s always so epic from up there. Cresting the top we were greeted to an amazing view. This time with the addition of the large NW swell rolling in to the coast. From about 4,000 feet up you can see the swell lines way out to the horizon. So much energy being directed at our coasts and yet, from this height, looking so smooth and playful. 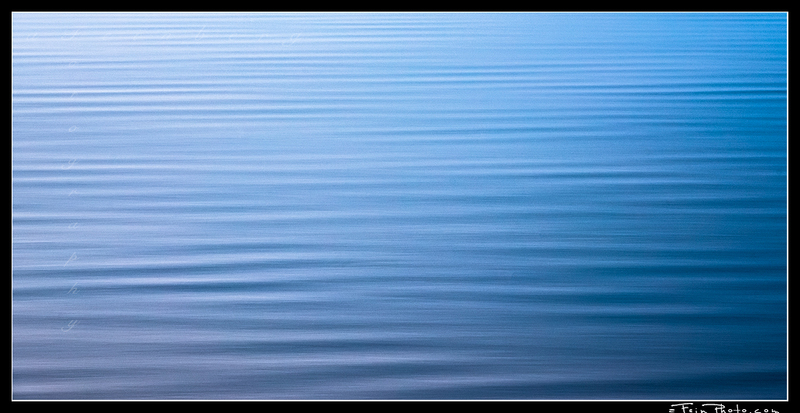 The twilight light was perfect as I set out with my long lens to capture some detail and abstract work. This one image in particular I feel gives a good sense of that scene that day. Posted in Image Discussion and tagged abstract, blue, kauai, panorama, surf, swell on January 26, 2017 January 26, 2017 by Aaron Feinberg. Having spent a lot of time in California over the last 4 years it was such a welcome (I’m sure for lots of people!) 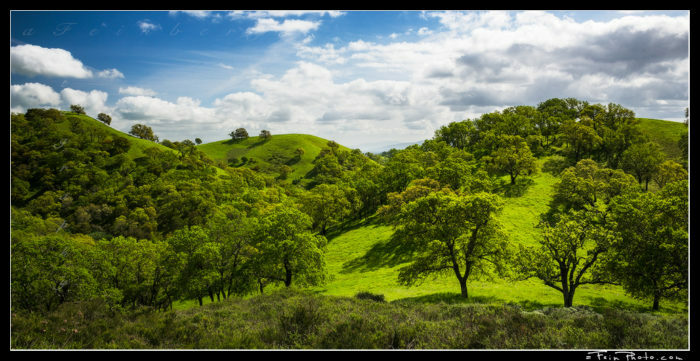 change to see things so green this year. This is an afternoon shot taken on Mt. Diablo, east of San Francisco. The greens, shadows and clouds were just too much fun to pass by! Posted in Image Discussion, Tales From The Road and tagged california, green, mt diablo, panorama, spring on May 5, 2016 May 5, 2016 by Aaron Feinberg. 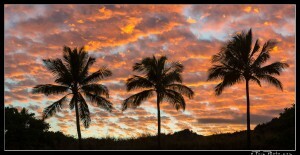 Was recently on Maui for a couple of weeks mostly working at the new aFeinberg Gallery Wailea. On the few afternoons I was able to get out I found myself playing ultimate (frisbee) on the North shore in Paia. This of course meant I was traveling across Maui. As usual the camera gear is almost always in the trunk, especially while traveling. While Maui as a whole is a different beauty to Kaua’i, the West Maui’s are so dynamic with the weather they effect. Over the course of the 2 weeks I actually ended up pulling over and photographing them 3 different times on my drives back and forth. Here, the light was magical and even though I was in a rush to get to the field had to make sure I stopped to get the shot. Posted in Image Discussion and tagged hawaii, maui, panorama on October 21, 2015 October 21, 2015 by Aaron Feinberg. Posted in Image Discussion, Tales From The Road and tagged colorado, great sand dunes national park, panorama, sand dunes on May 8, 2015 by Aaron Feinberg. So this one has been in the archives since 2013. And it’s been a process to get right, and honestly is still not there. This is a very complicated 180 degree view from the rocks at Ke’e Beach showing our place in the Milky Way. As we sit, flying through the universe on the outside edge of the galaxy, this image gives me, maybe too much, sense of perspective. Looking out over the ocean as if space was just over there at the edge of the horizon. Venus along for the ride. 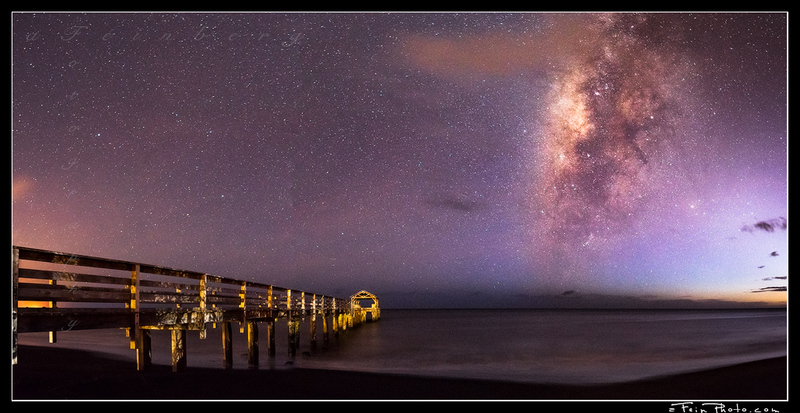 Posted in Image Discussion and tagged Ke'e beach, milky way, panorama on January 23, 2015 by Aaron Feinberg. Better late than never. This image was taken on 1/1/2015 in an unassuming kinda place. But the sunset was full on 360 craziness and couldnt resist this simple composition. Here’s to a great 2015! Gonna be a wild ride! Posted in General and tagged palms, panorama, silhouette, sunset on January 8, 2015 by Aaron Feinberg. This particular shot was taken after my last post with my photography adventures at sunrise down at the Venus Pools on the East side of Maui. You can read the full (wet) story here. As the sun played with the clouds I decided to put on a strong ND filter (basically a black piece of glass to stop light), and do a couple of longer exposures. One of the problems with using this filter is that once it is on it is near impossible to see the composition as everything goes dark! Then of course is the guessing of how long the exposure should be and dealing with the bright and dark parts of the image. Luckily…in this case, I guessed right 🙂 The combination of filtered light and all the colors from the clouds/water/reflection mixing together gave this image a unique feel. Maui offering up some more magic! 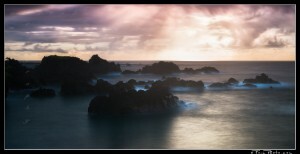 Posted in Image Discussion, Tales From The Road and tagged long exposure, maui, panorama, seascape, sunrise on September 25, 2014 by Aaron Feinberg. It’s pretty amazing. 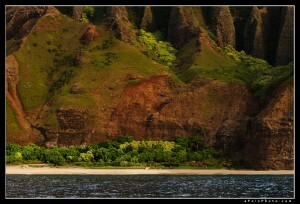 In the 6+ years I’ve lived on Kauai I’ve seen the Na Pali coast from the water, twice. Once I was actually kayaking and focused on self preservation, the other time was a couple of months after I moved out to the island. So…it’s safe to say this was a long time coming. So when a friend offered to take a jet ski down the coast for sunset, who was I to argue. Now, it should be mentioned I am a land mammal by nature. Once in and around water my comfort level drops by quite a bit. Now put me on a jet ski, flying/bouncing/jostling across the water and it’s fair to say my tension level raises just a bit. So…there we go…down the coast, leaving from Hanalei Bay around 430pm. The coast is truly amazing. And being that I do not leave it very often to get these perspectives, I am constantly amazed by this island I call home. The ride is pretty choppy. It’s been pretty windy over the last few days and the wind swell has kicked up to a solid roll. Onward we go; past Lumahai, Wainiha, around the reef at Tunnels and past Ha’ena and Ke’e Beach. And now the epic stretch of coast that is the Na Pali lies ahead. There are a lot of clouds around and off to the west and north the sun is hiding behind layers of cirrus and a rainy cumulus off in the distance. I lean forward and say to Joel and say it’s a coin flip…50/50 on getting any light. As we make our way southwest he shows me the sea caves that I’ve heard and seen photos of but never with my own eyes. Double Door…with the waterfall falling through a hole in the ceiling; Open Ceiling cave…with a giant opening in the roof that fell in. It is here we stopped for a while and the thoughts started turning. Yet another project to chase after. 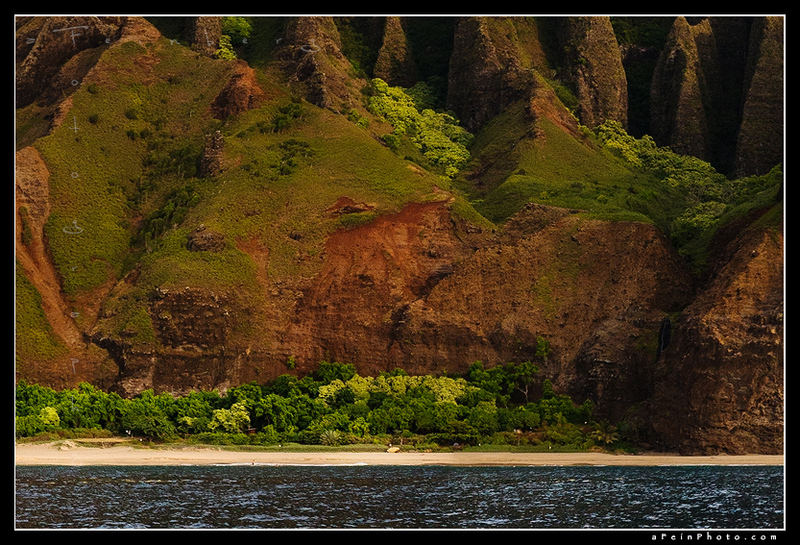 However, we decided that the chance of the good light was too iffy to wait and went back to Kalalau. Kalalau is a magical place. Massive fluted cliffs rise out of the beach, the Valley just to the left (looking at the coast from the ocean). The only way to reach this mythical destination is hiking a very strenuous 11 miles from Ke’e Beach or by boat. And it’s worth it. Just ask someone who’s been. We sat off the coast and watched the clouds and chances of good light. Snapping a few photos (yes the camera was in my hand while sitting on a jetski and I was holding it tight). While shooting we generally have the motor off as to not disturb the water around us and keep still. I mentioned we should reposition a bit further back and to the left. **click click click** motor didnt turn over. NOT a place one wants to get stuck. Joel turns the starter again and after sputtering it turns over and the engine is on. Now it’s decided that we keep it idling, and therefore moving, until we get back as not to risk it. Yikes. As we circle back around the sun starts to hit the gap in the clouds we saw across the horizon. The light is on the beach but the clouds and mountains are still dark. Clicking away as we circle around. Then the real show…the sun fills the coast and finally bam! Because we couldnt shut the engine off I was standing on the jetski, holding on to the back of Joel’s life vest with one hand, and photographing with the other. Snap snap snap. Ok…time to get back north! Pack up the bag, on the back and off. Even faster than we got down the coast. The constant shaking is briefly abates every so often as we take air over the waves, only to be smacked right back down to the surf. Getting back to Hanalei finally we witness an awesome light show. I take a few more photos but in the back of my mind I already got what I needed from the day. What a ride! Posted in Image Discussion, Image Release, Tales From The Road and tagged coast, hawaii, kalalau, kauai, na pali, panorama, sunset on April 12, 2014 September 26, 2014 by Aaron Feinberg.